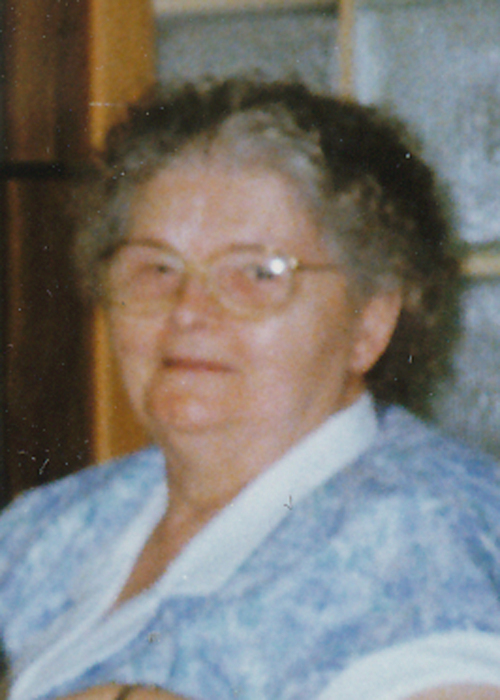 Edith was born on June 10, 1916 in the Burnside District, MB and passed away on December 4, 2018 at the Lions Prairie Manor in Portage la Prairie, MB at the age of 102 years. Edith was predeceased by her parents, Thomas Henry and Katherine Hounsome, sister Elsie Kathleen Hounsome and brothers Frank Edward and Arthur Henry Hounsome. Left to cherish Edith’s memory are her special friends Jenny and Alvin Vust, her Bible Baptist Church family, numerous cousins and their families and many friends. Through the years, Edith worked as a cook in the café at the Brandon Bus Depot, and greatly enjoyed her years cooking at the residential schools in both Portage la Prairie, MB (12 years) and Brandon (15 years). Edith loved to travel, and took many trips and cruises with her family; she especially enjoyed her Disney excursions. In her later retirement years at Lions Prairie Manor, she listened to many stories and particularly enjoyed the sermons of John MacArthur. Funeral Service will be held on Friday, December 7, 2018 at 11:00 a.m. at McKenzies Portage Funeral Chapel, led by Pastor Larry Bird. Interment to follow in Burnside Cemetery. We would like to thank Alvin and Jenny Vust, the staff of Lions Prairie Manor and Edith’s friends from both the Bible Baptist Church and Lions Prairie Manor for the love and friendship they shared with Edith through the years. If friends so desire, donations in memory of Edith may be made to Burnside Cemetery Fund, c/o Community Foundation of Portage & District Inc., 206 Saskatchewan Ave E. Portage la Prairie, MB, R1N 0K9. Burnside Cemetery Fund c/o Community Foundation of Portage and District Inc.